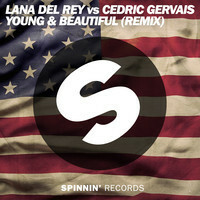 Lana Del Rey & Cedric Gervais – Young & Beautiful (Remix – Club Edit) – DJ JVC | DJ for hire in Philippines | DJ Mixtapes, Clubbing and Music Festivals in Manila, Philippines. ‘Like’ Cedric Gervais on FACEBOOK. ‘Follow’ Cedric Gervais on TWITTER.